Tyler Union Team Raises $5,000 for St. Jude Hospital | McWane, Inc.
Over the past three months, the Tyler Union team has been raising money for St. Jude Hospital. They began their fundraising efforts with high hopes that they would be able to raise enough money so they could donate $5,000. In July, they held a BBQ plate sale which raised $1,300 and throughout August and into September, tickets were raffled off for prize drawing for a $100 Walmart Gift Card. 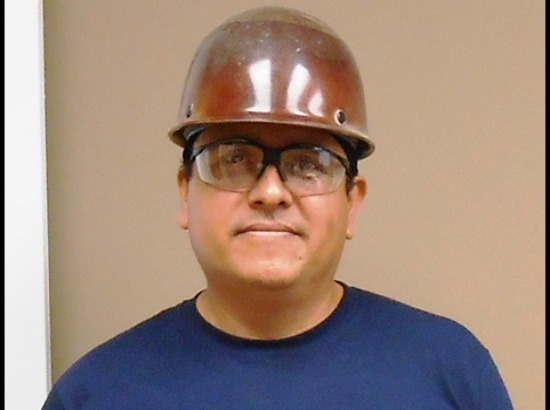 The drawing was held on September 22 and Randall Gorden (Disa Department) did the honors of drawing out the winning ticket belonging to Jose Morales (pictured). Jose works on the IMF No Bake molding line at Tyler Union. Team members raised $2,500 and Tyler Union matched that amount dollar for dollar to help them achieve their desired donation amount of $5,000.00 for St. Jude Hospital! Congratulations to the Tyler Union team that worked so hard to raise this money for St. Jude Hospital and to Jose Morales for winning the prize drawing! Posted on October 2, 2014, in Community Involvement & Giving and tagged community, donation, McWane, raffle, St. Jude Children's Hospital, Tyler Union. Bookmark the permalink. Comments Off on Tyler Union Team Raises $5,000 for St. Jude Hospital.